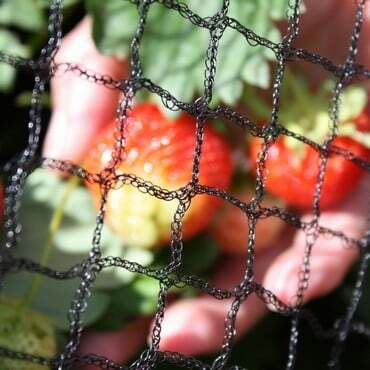 Attaching the netting to a fruit cage is a simple task when using Harrod quick release net ties and net clips. The 6" cable ties tighten by a simple pull action and quick release by simply pressing the middle section down with your thumb nail. 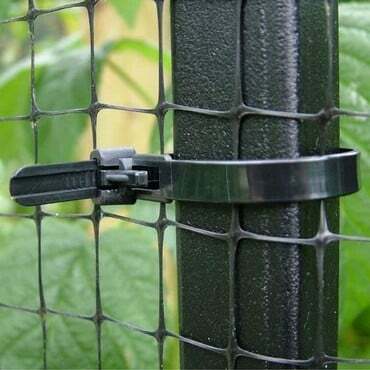 To begin covering the Fruit Cage stand the heavy duty side netting roll on end and secure with the net ties to the edge of the first upright next to the door opening. Begin rolling it out from the edge of the cage next to the door post and continue to secure with net ties to the roof framework all the way round the cage until you finish off a the door again. 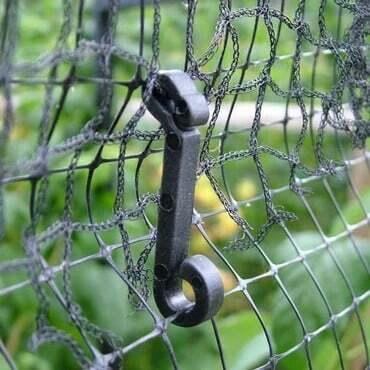 We supply approx 3 quick release net ties per metre run for securing side netting to the roof frame of the cage. Next anchor the hems of the side netting to the floor using the galvanised ground pegs supplied (again approx 3 per metre) and don’t forget Harrod also sell Rabbit and deer proof netting to further secure the bottom of the cage if these pests are a particular problem. You can then use scissors to tidy up the netting edges for a perfect fit round the frame and uprights if required. Applying the roof netting to the top of the cage is similar to putting a duvet on a bed and uses double ended net clips to hold everything together. Hook the top of the net clip to the roof netting then choose a line of the side netting to hook the net fasteners to. 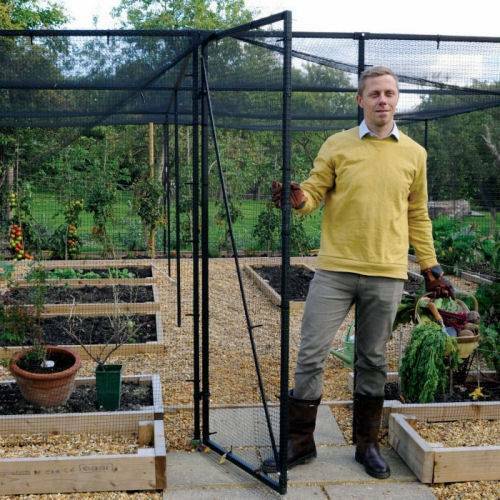 Ensure you use the same line of side netting all the way round the cage to join the roof netting to the side netting to create an aesthetic appearance . 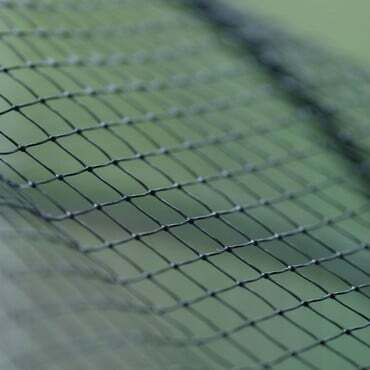 This will also ensure the netting is a tight fit on the cage and aids the net tension. If you wish to remove the netting simply unhook the net clips all the way round the cage, releasing the roof net, then remove the net ties and roll the net up as its removed from the sides of the cage. Ideally Fruit cage roof netting should be removed in the winter to protect the fruit cage from snow damage and then re-apply the netting when pests reappear. Designed and manufactured by Harrod Horticultural at our Suffolk base, and with a 10 Year Framework Guarantee, our first class fruit cages offer a stylishly reliable way to prevent damage by birds and other garden pests. Widely regarded as the professional's choice, nothing rivals the long lasting strength, quality and premium appearance of our superior walk-in cages.